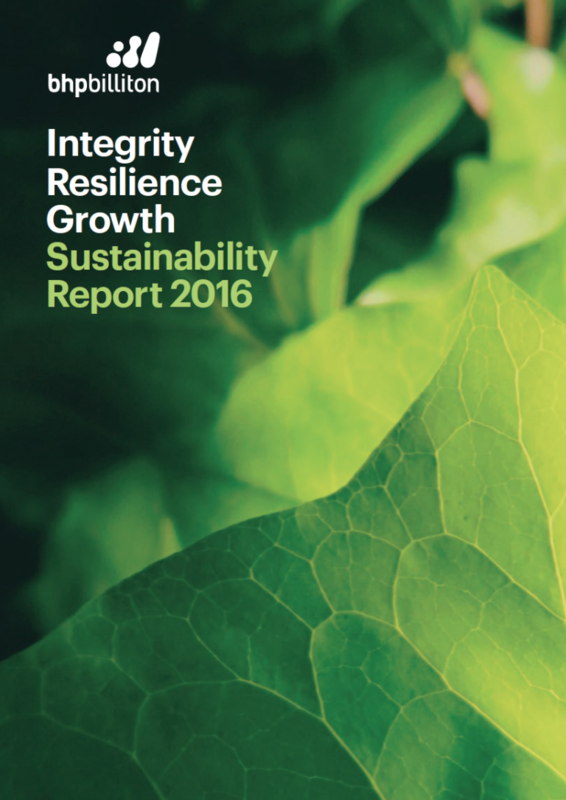 string(1070) "Resource Centre > Uncategorized > BHP Billiton Sustainability Report 2016"
It has been 20 years since BHP Billiton published its first Environment Report. Since then, across a variety of conditions and challenges, we have reported on the progress of our sustainability goals. While this year’s report again tracks our performance in health and safety, environmental responsibility and community engagement, it does so against a backdrop of the tragedy at Samarco.